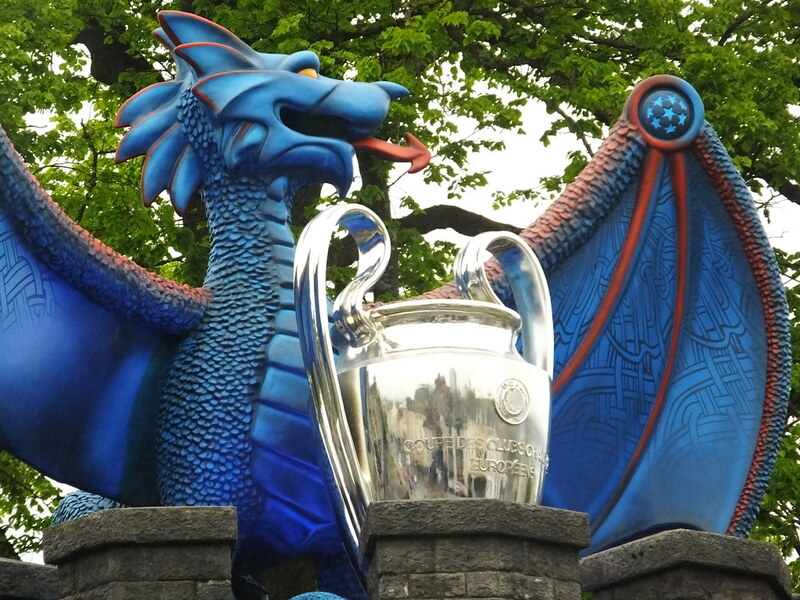 As the huge juggernaut of the Uefa Champions League Final rolls into Cardiff – lots of change is afoot to host the biggest sporting event ever to come to the capital. 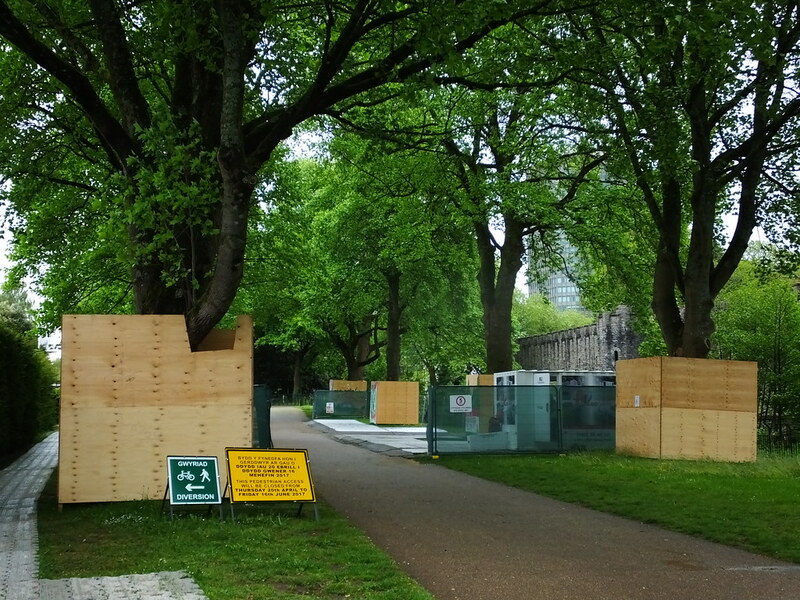 Some parts of the city are being cleaned up and being made more secure to help house the expected quarter of a million visitors to the city over one weekend at the start of June. 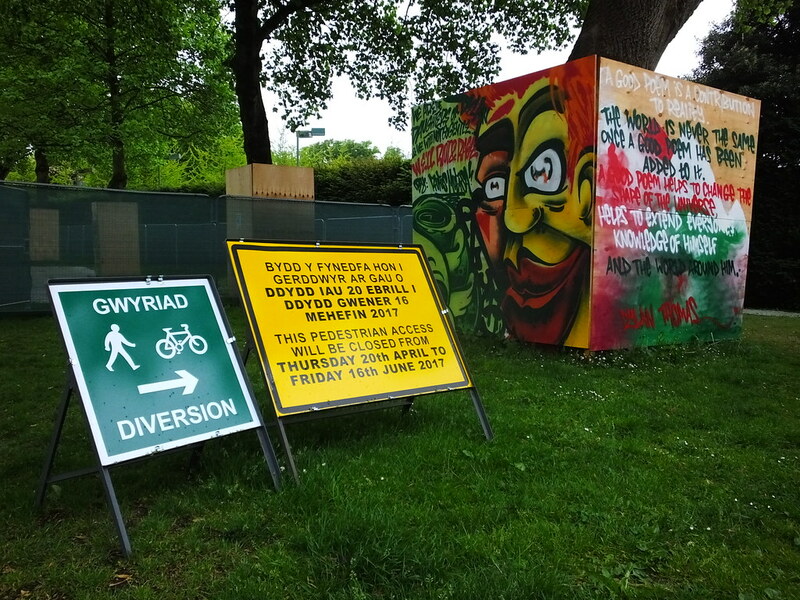 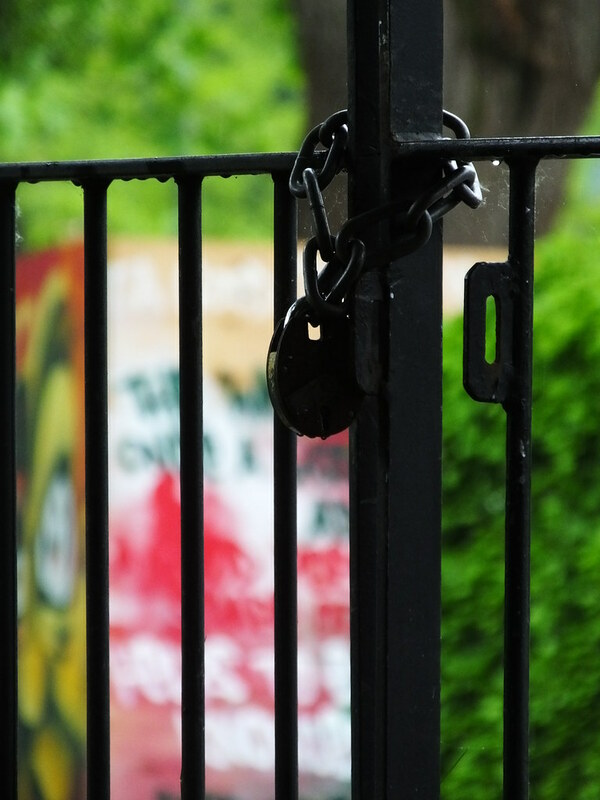 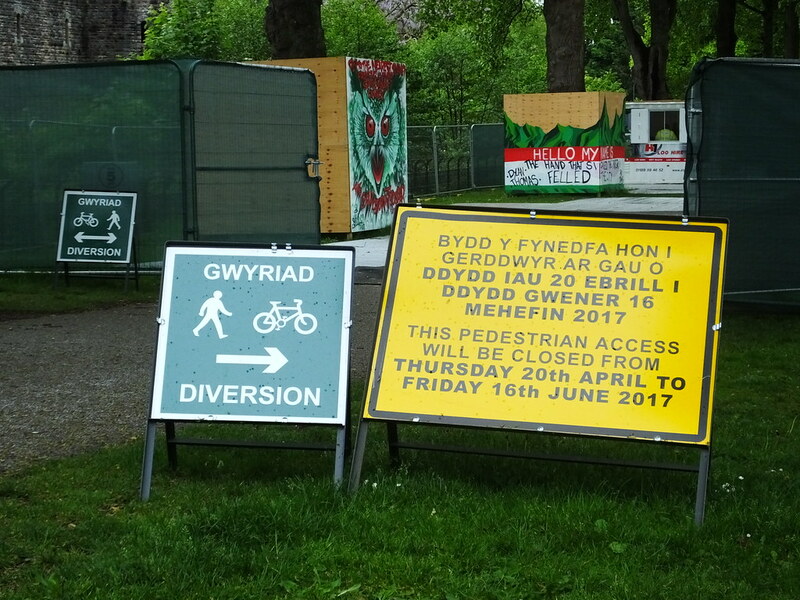 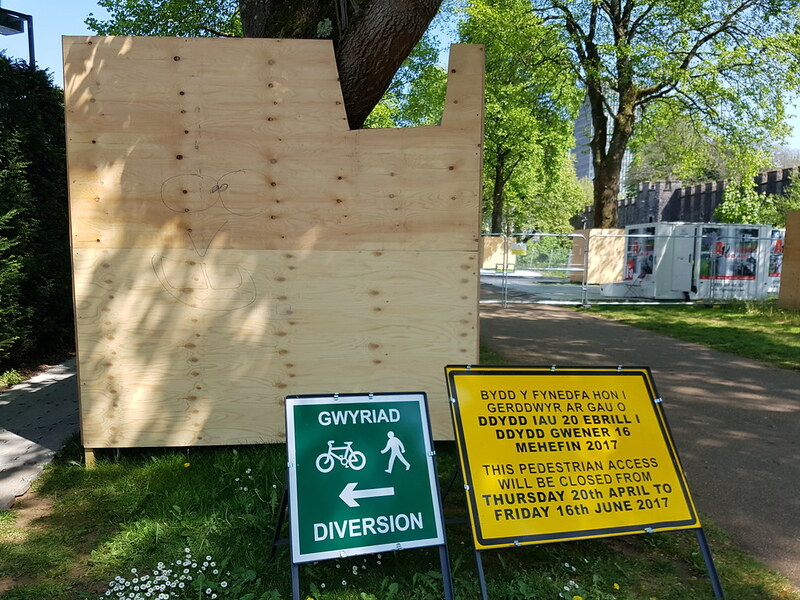 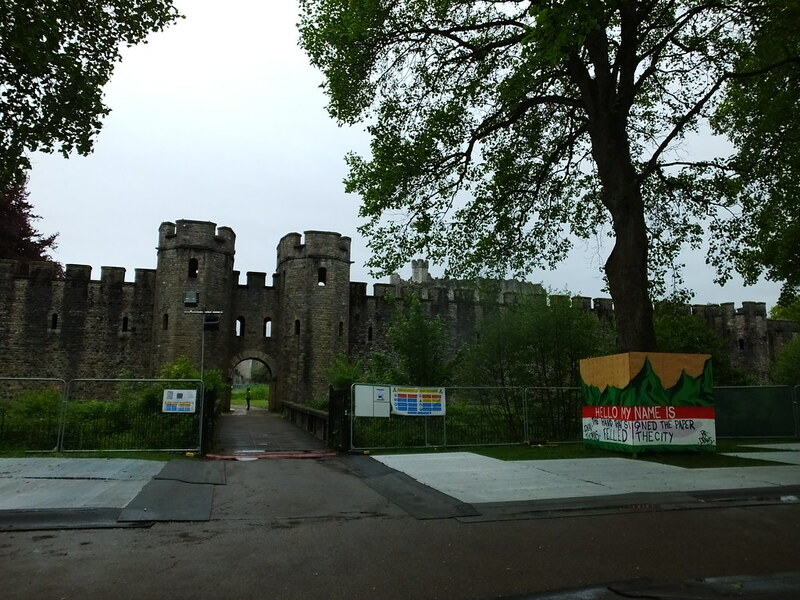 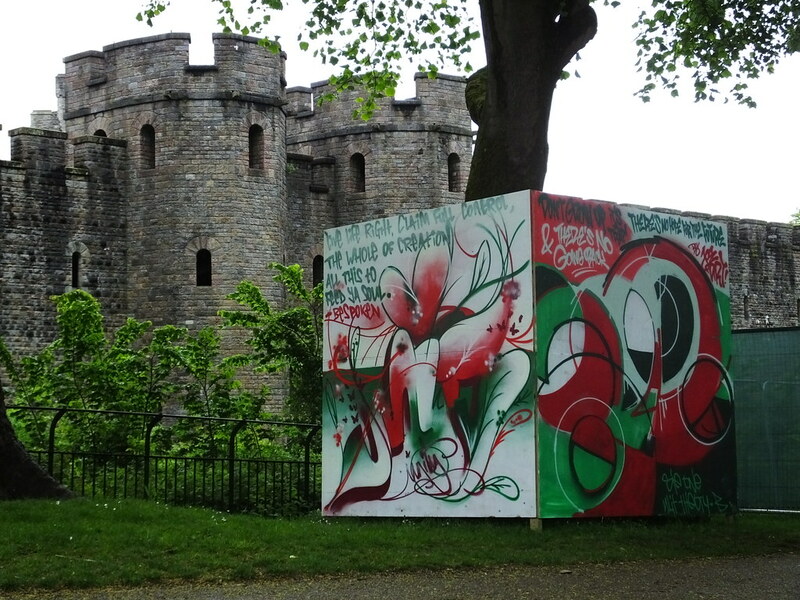 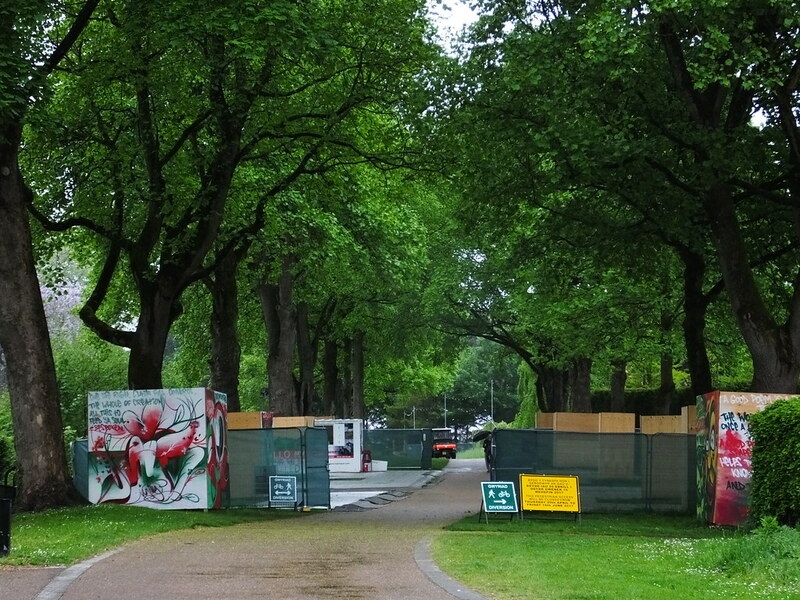 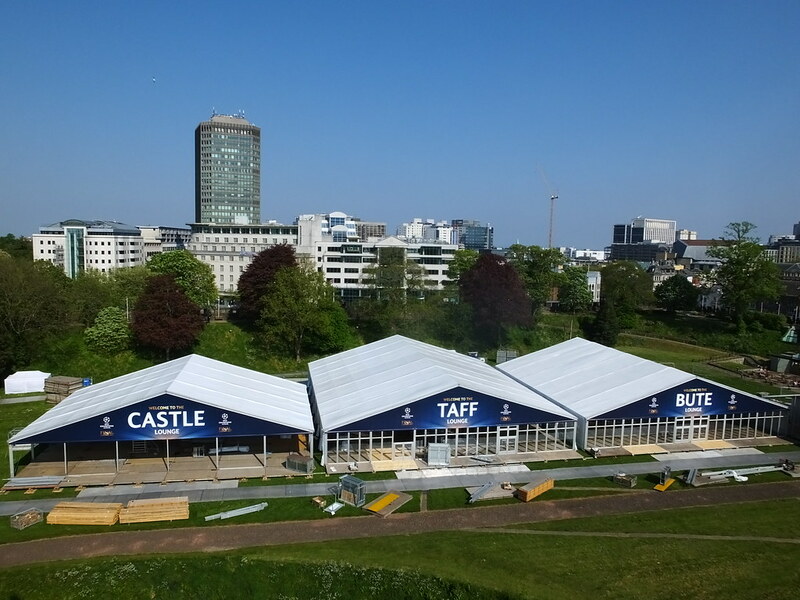 A massive fans village has been built in Bute Park and a hospitality village within the grounds of Cardiff Castle has meant extra security being put in place like metal fences and wooden hoardings blocking off trees. 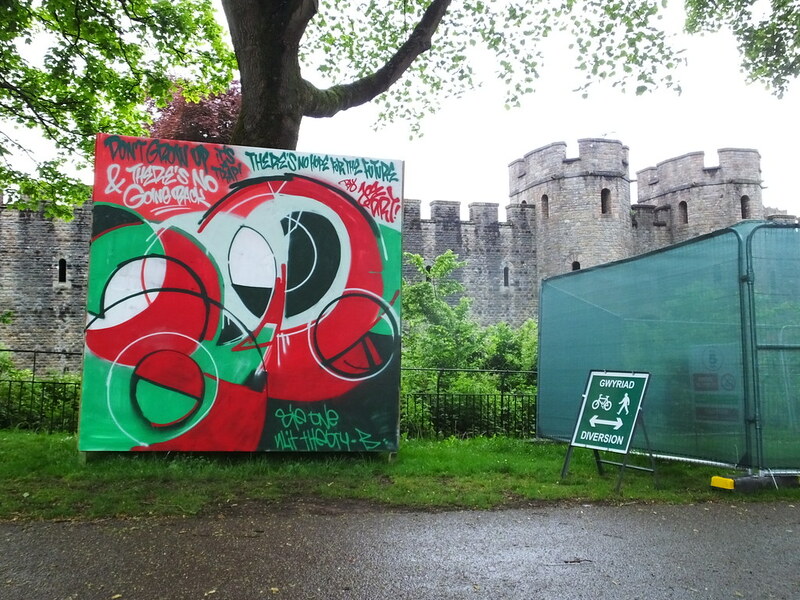 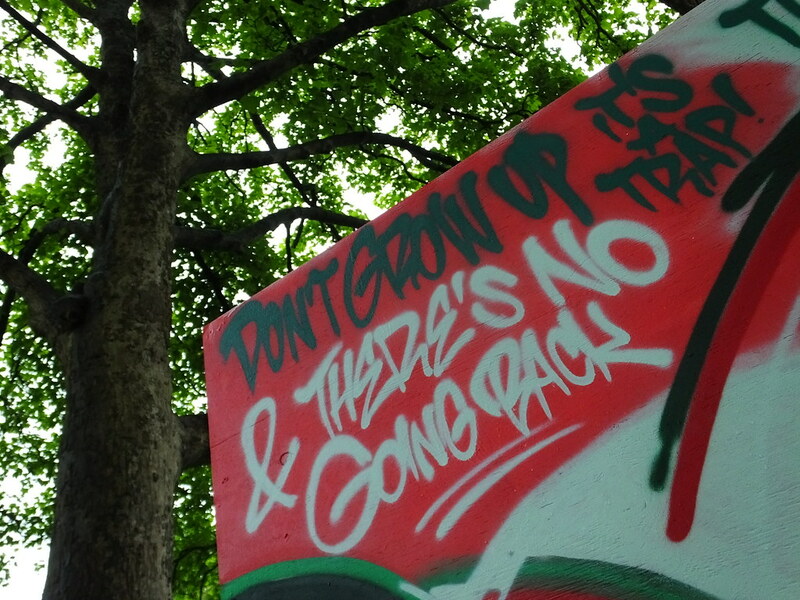 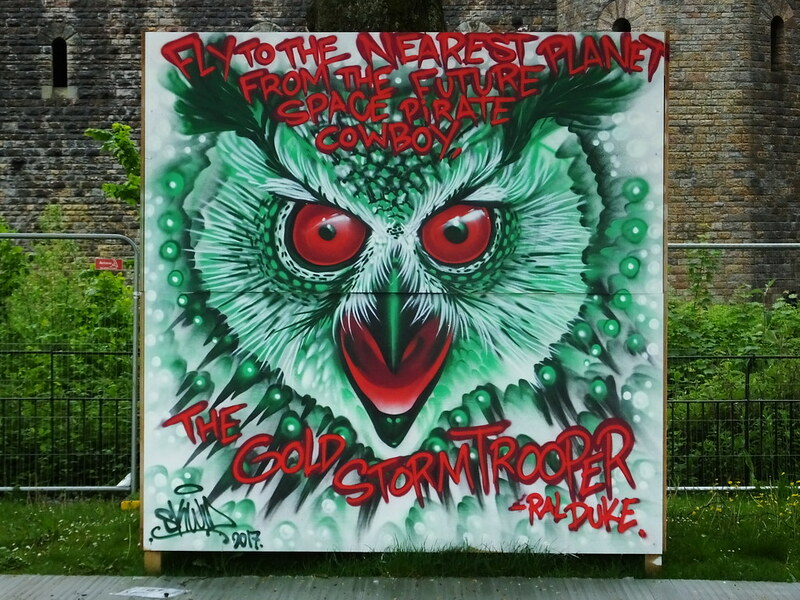 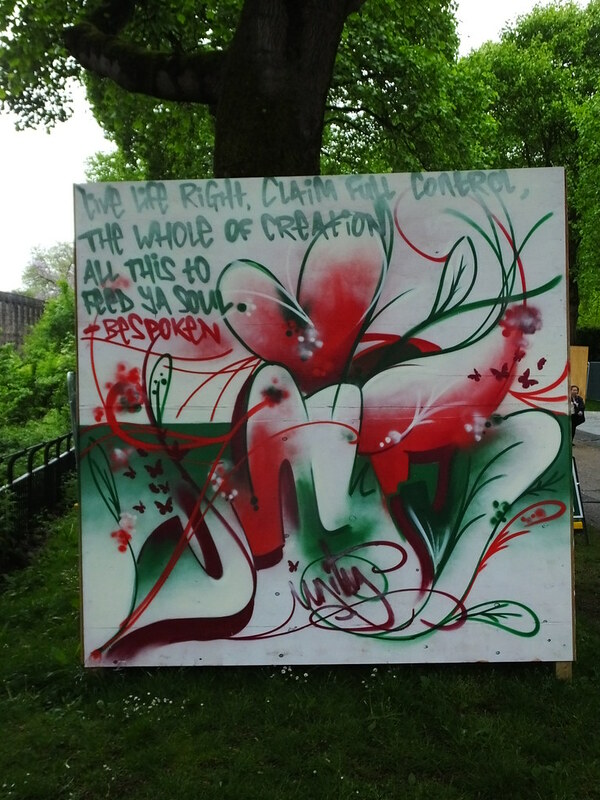 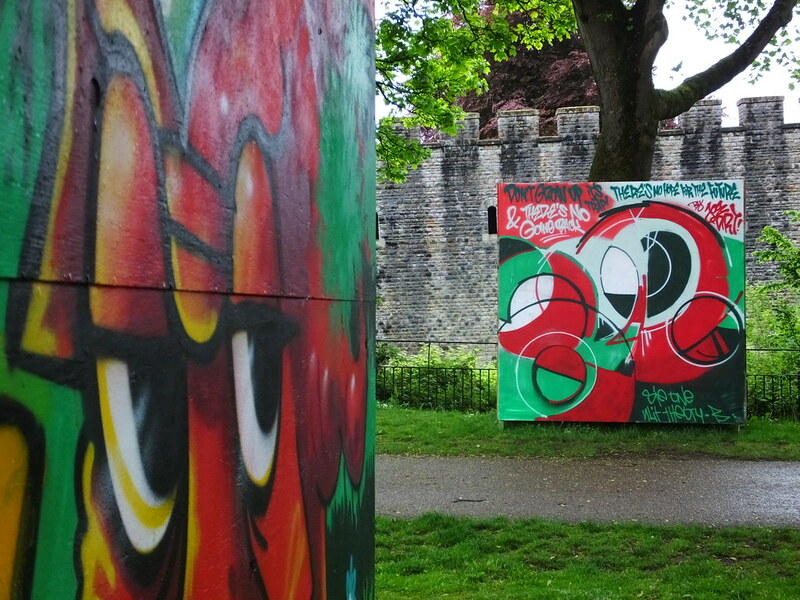 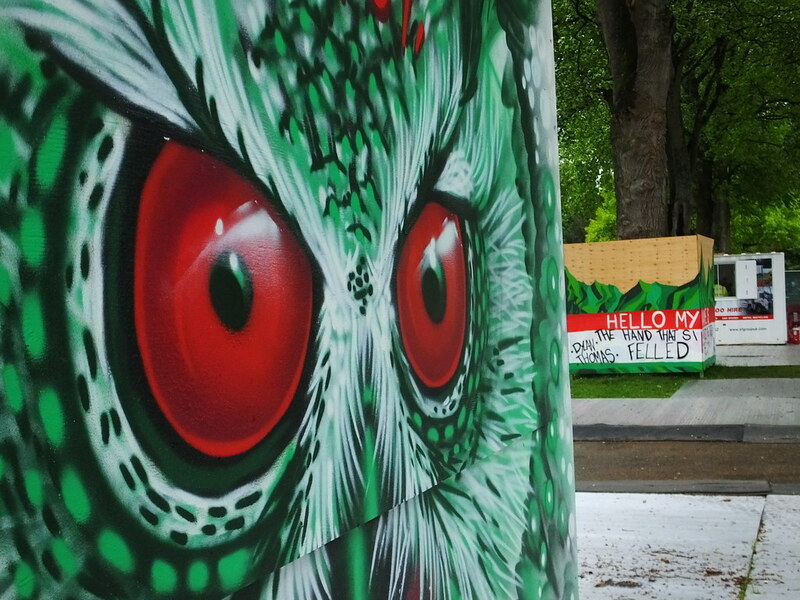 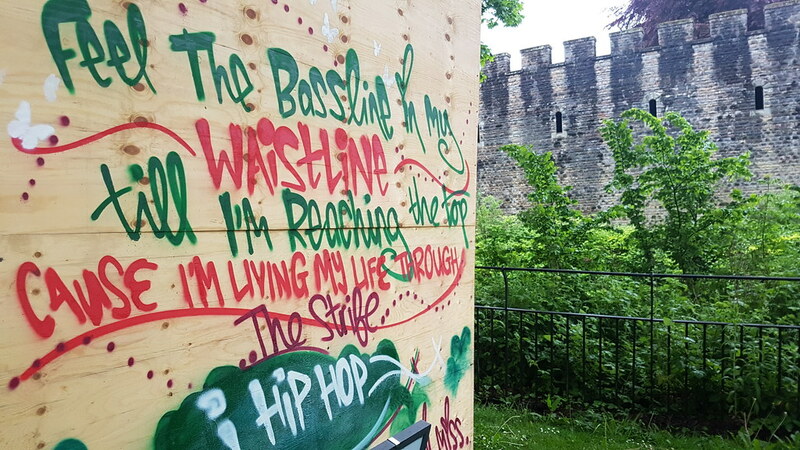 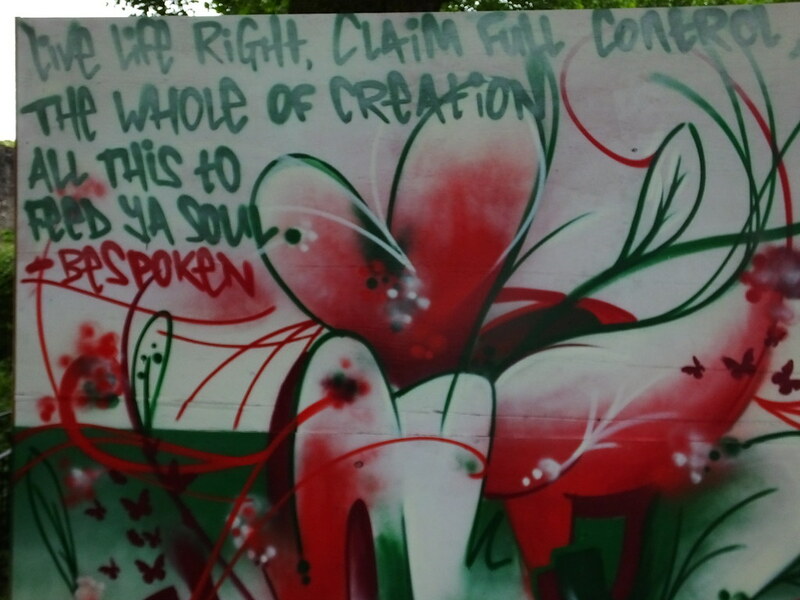 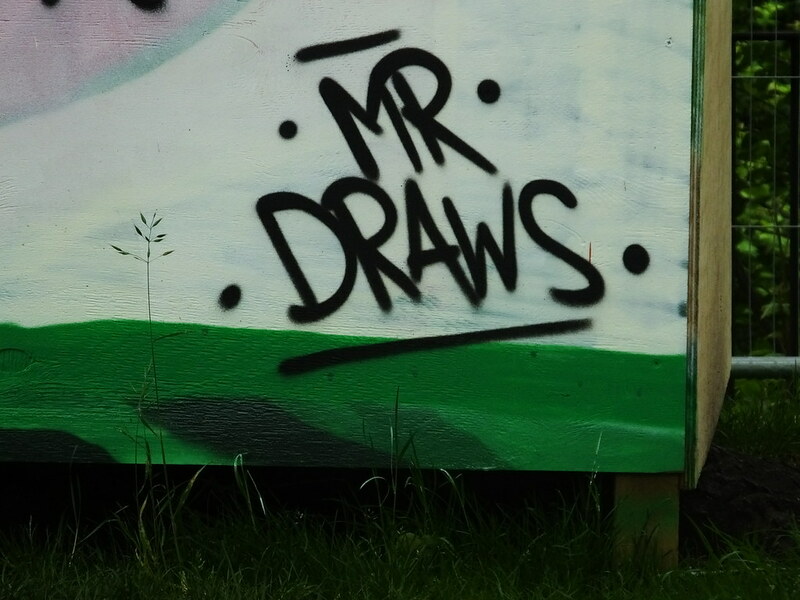 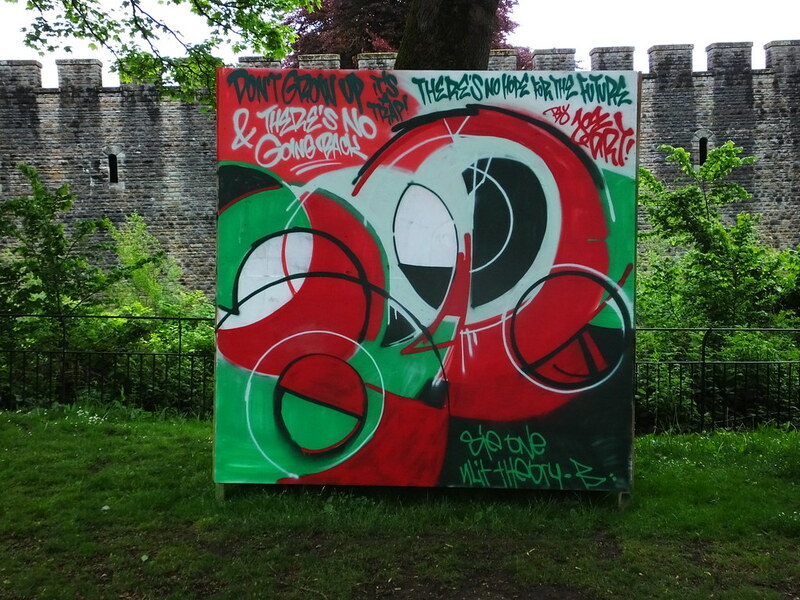 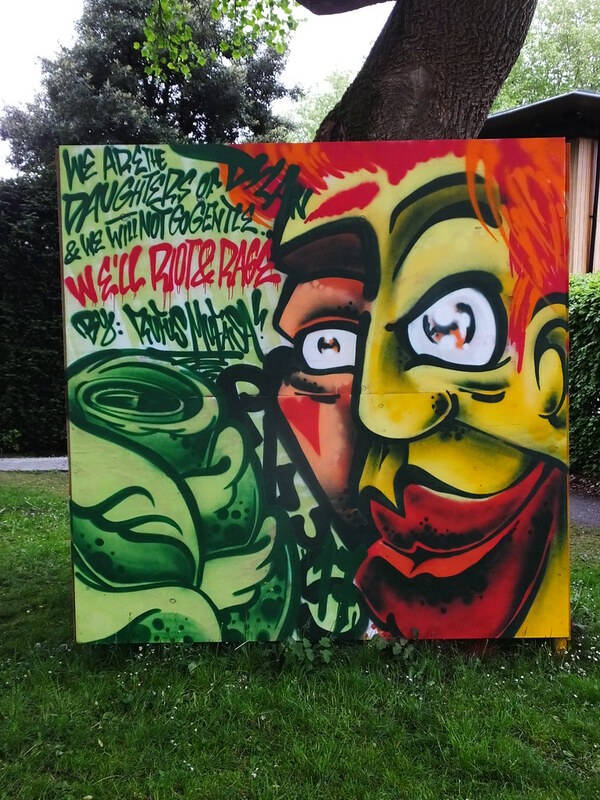 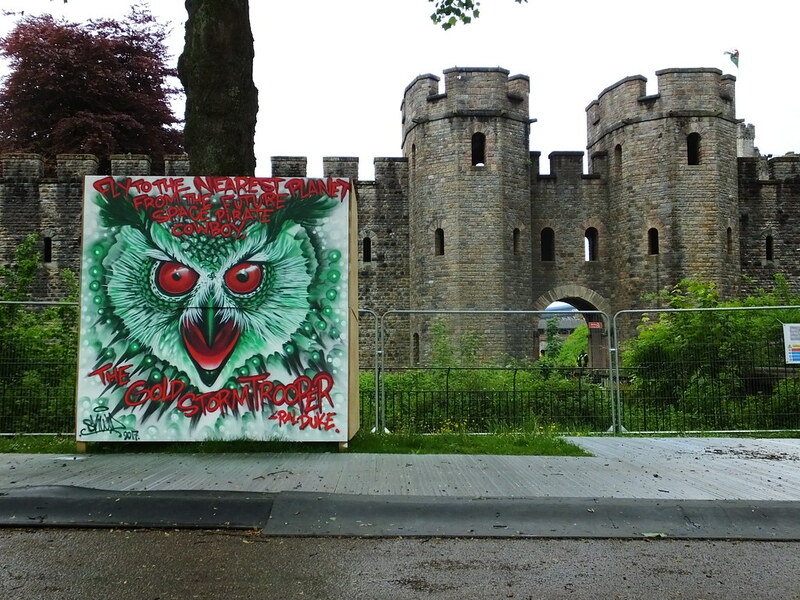 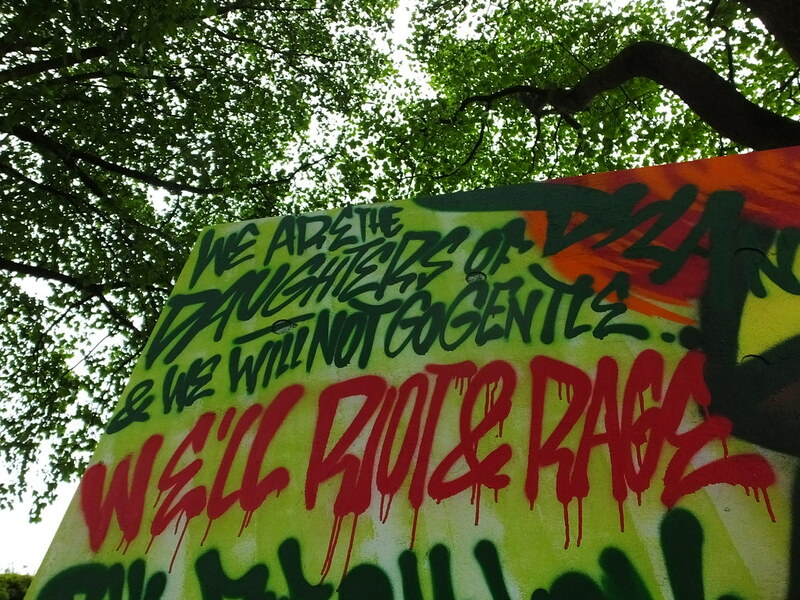 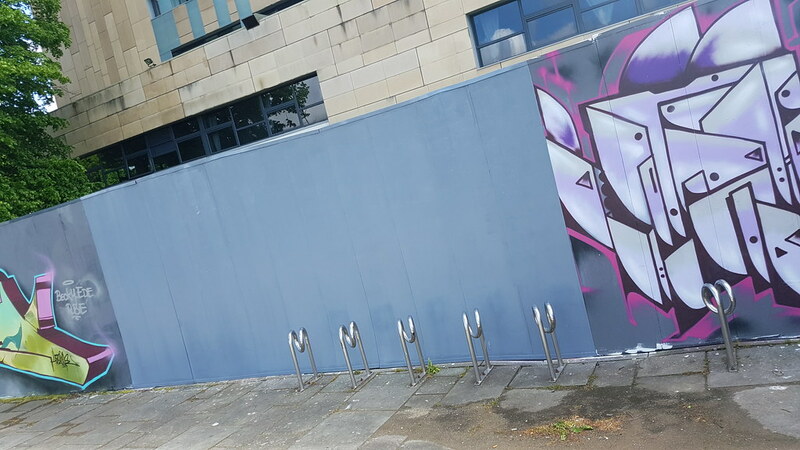 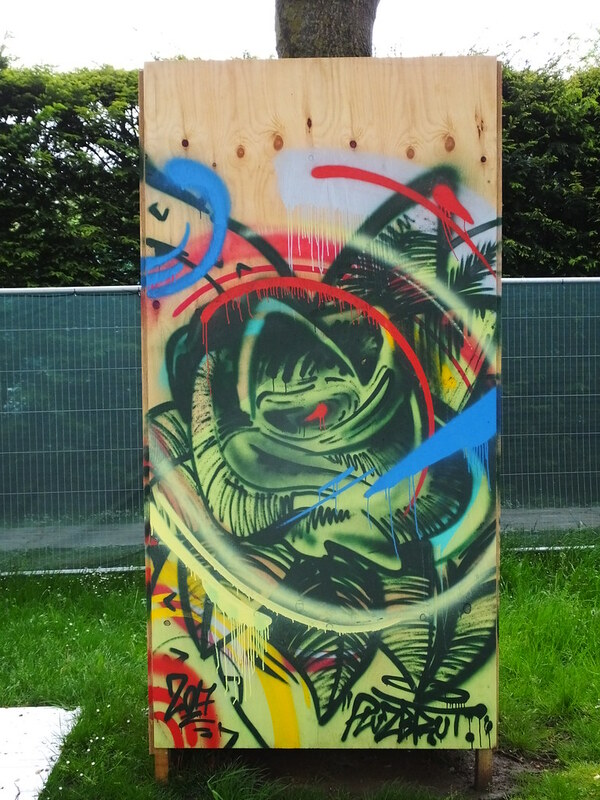 Even the legal street art wall which ran along the River Taff next to the Millennium Stadium wasn’t safe with painting now ceased and being replaced with advertising for the huge football event and beyond. 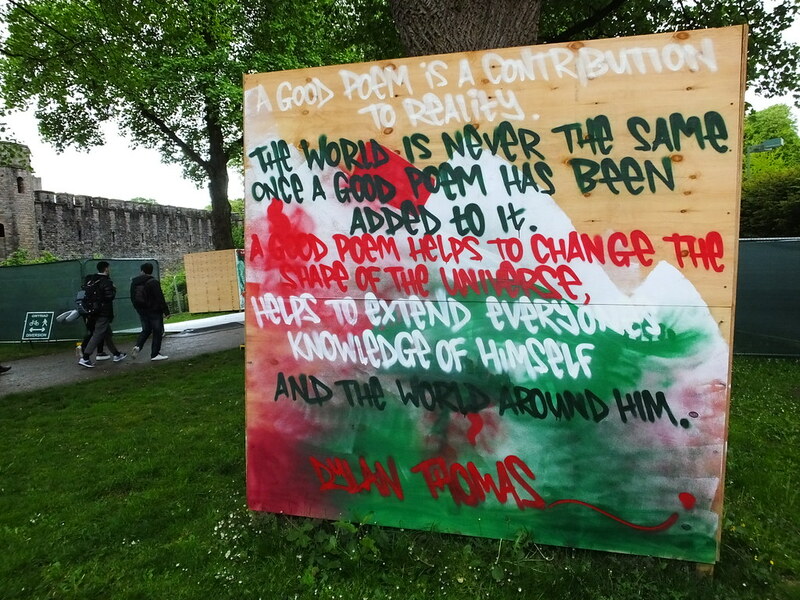 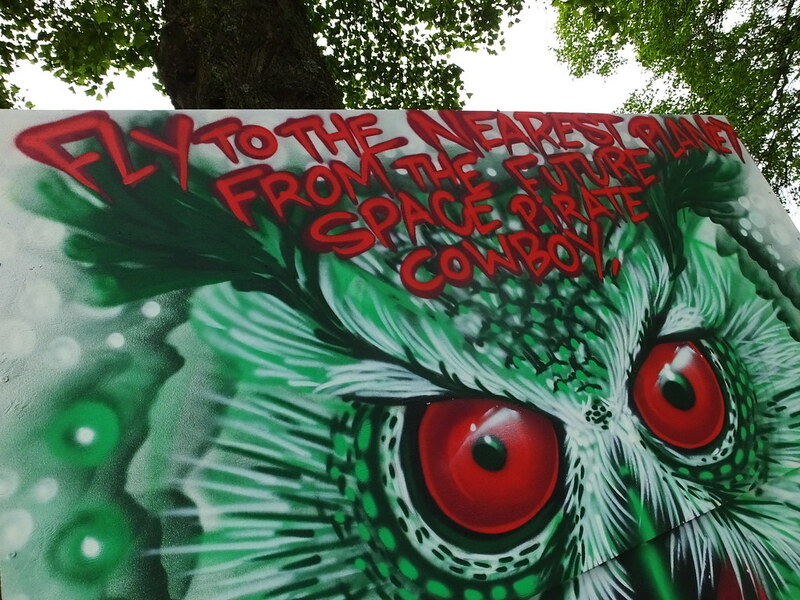 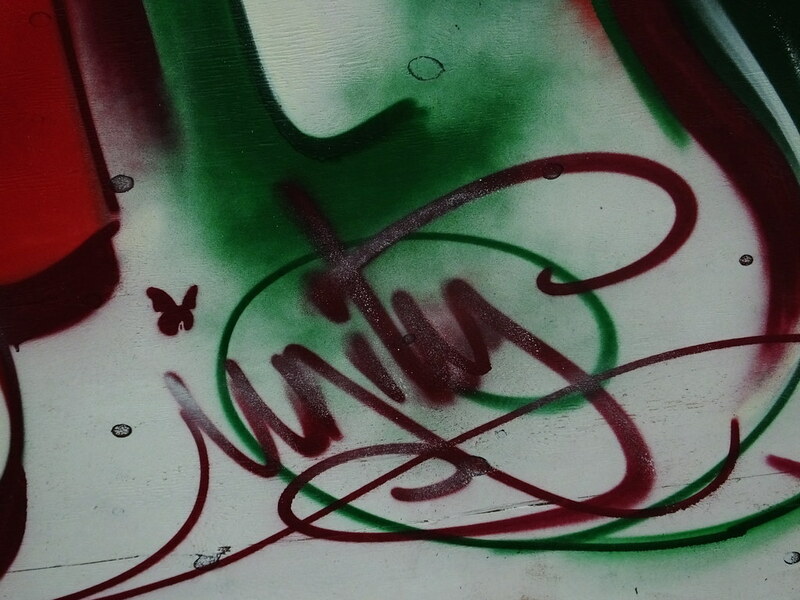 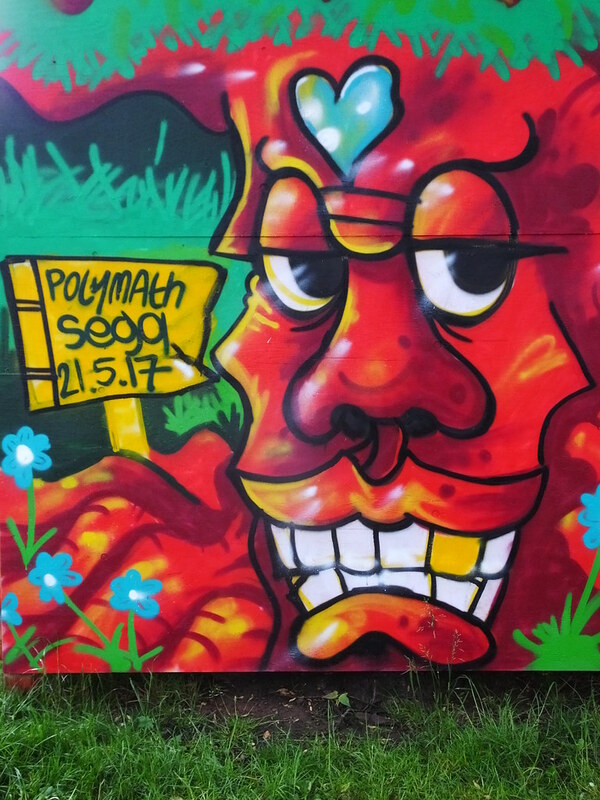 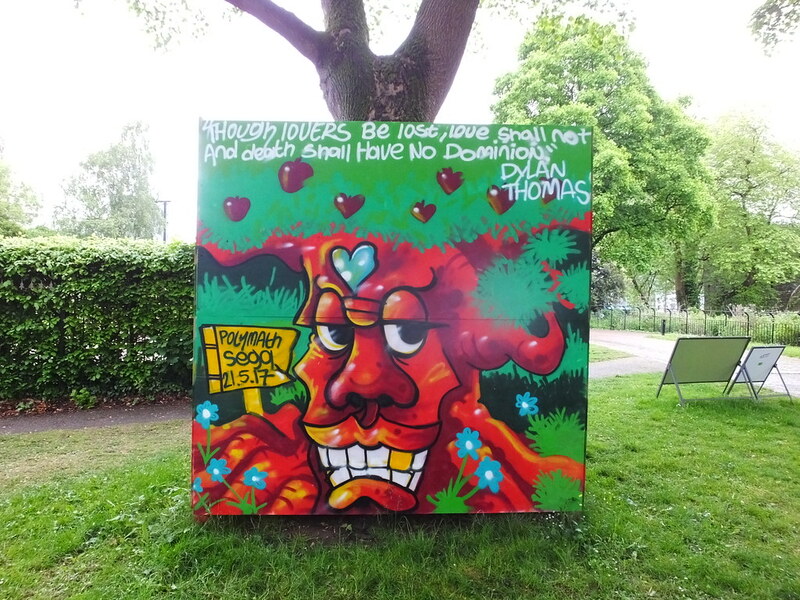 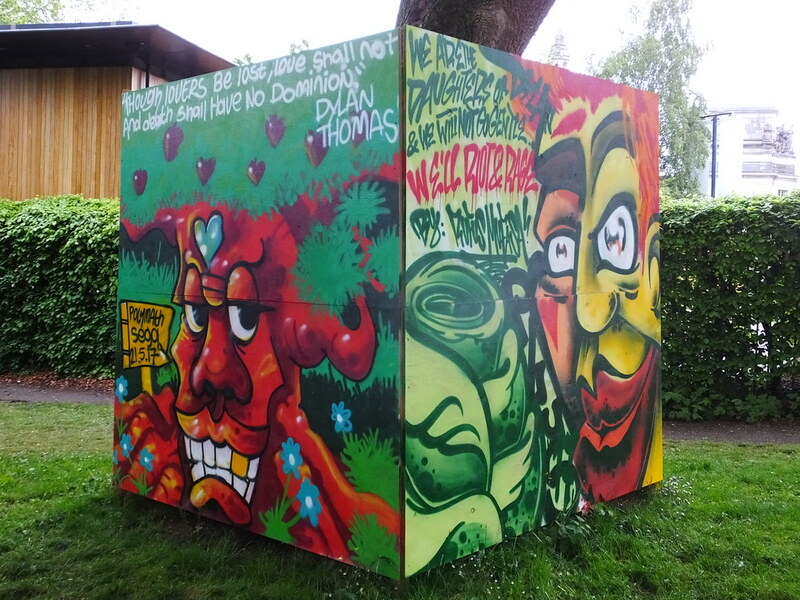 Unity helped arranged a paint jam themed along ‘Dylan Thomas Day’ which is a celebration of the life and work of Welsh poet Dylan Thomas. 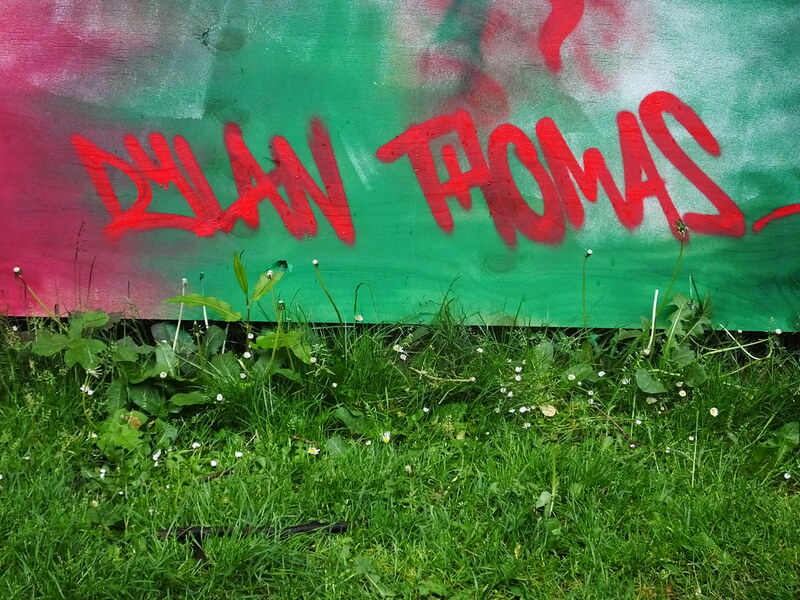 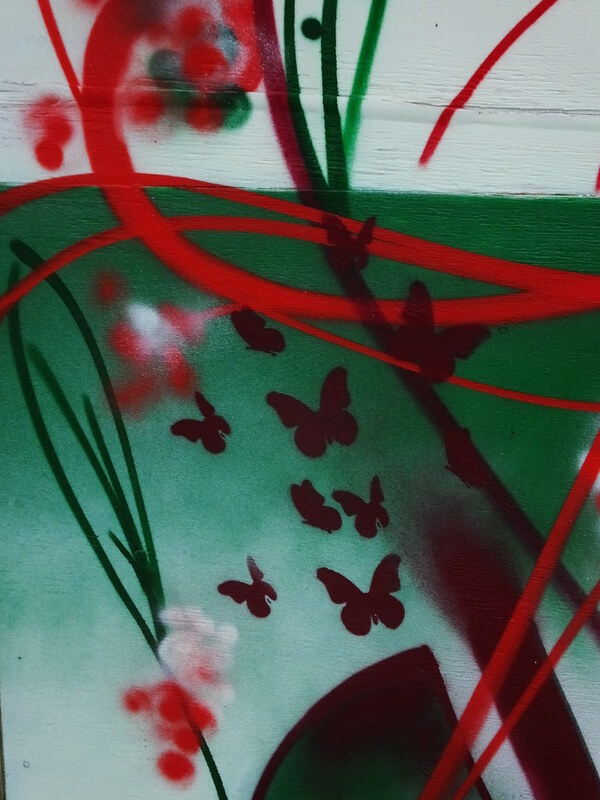 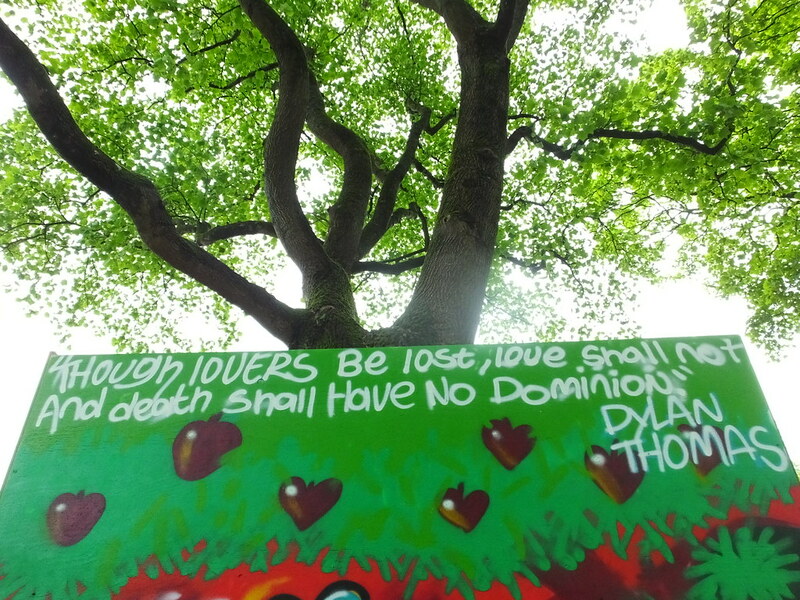 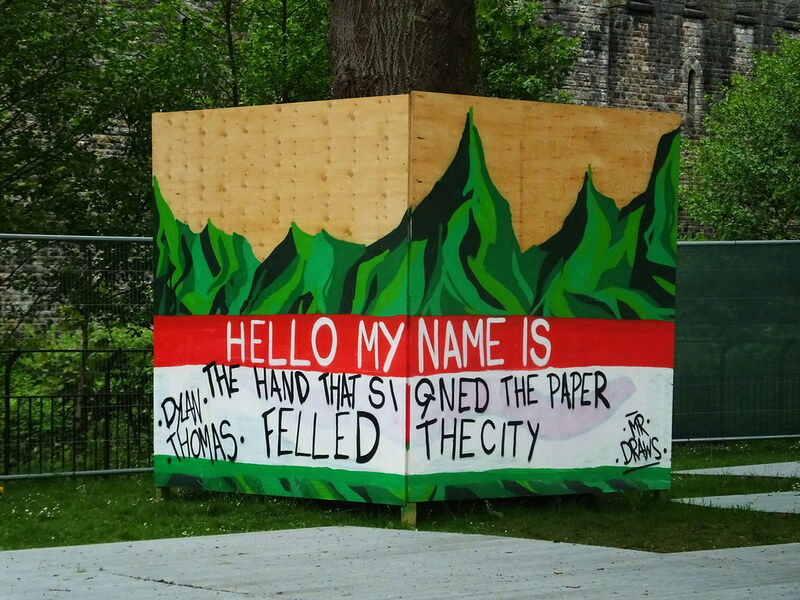 A colour scheme of red, white and green was used and each piece also featured some lines from a range of famous Dylan Thomas work. 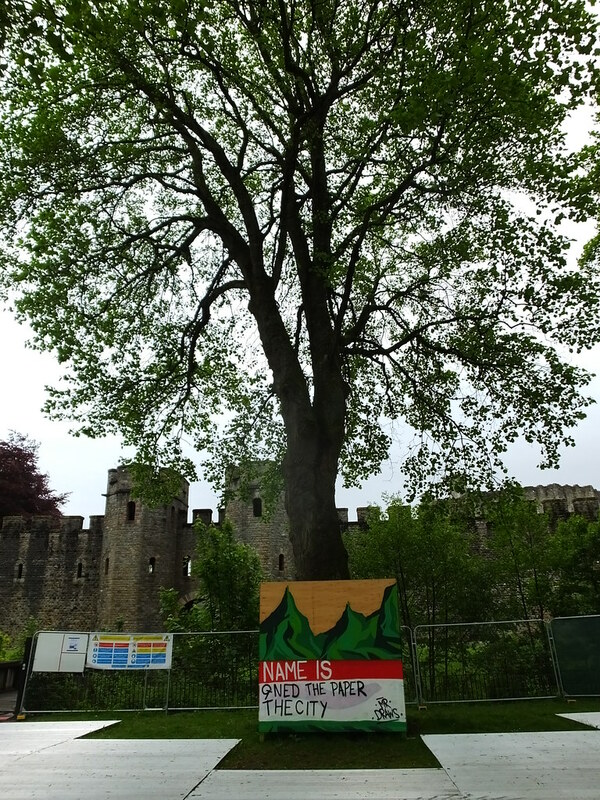 The work lined the route running behind Cardiff Castle connecting North Road with Bute Park – and what a difference it made! 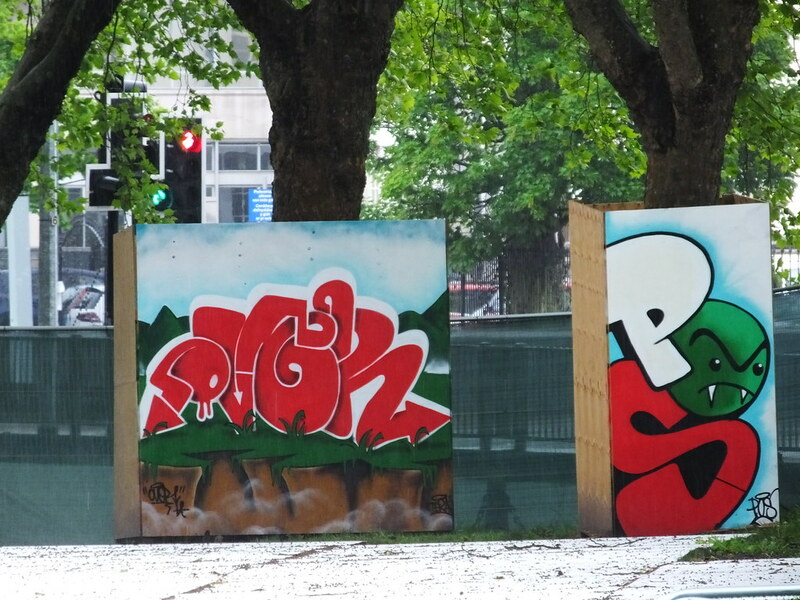 Featured above is work from Plus and Unity with more work below from Mr Draws and Squid. 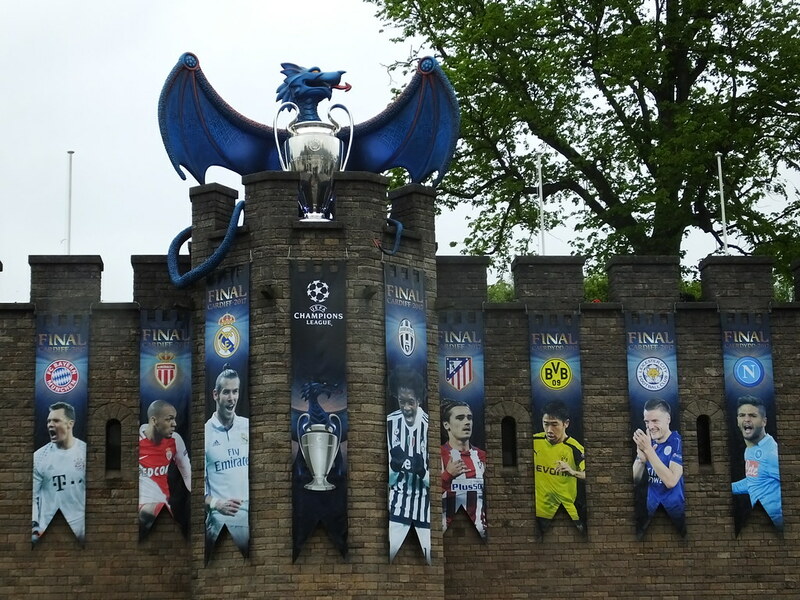 What a fantastic idea and fantastically executed too.